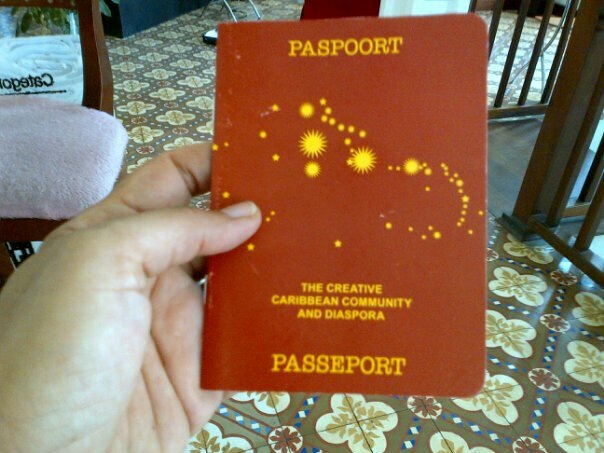 This page is a space-holder and is intended for POSTING "SELFIES" by holders of the "Creative Caribbean Community & Diaspora Passports. and they will be posted by the studio as part of the project. 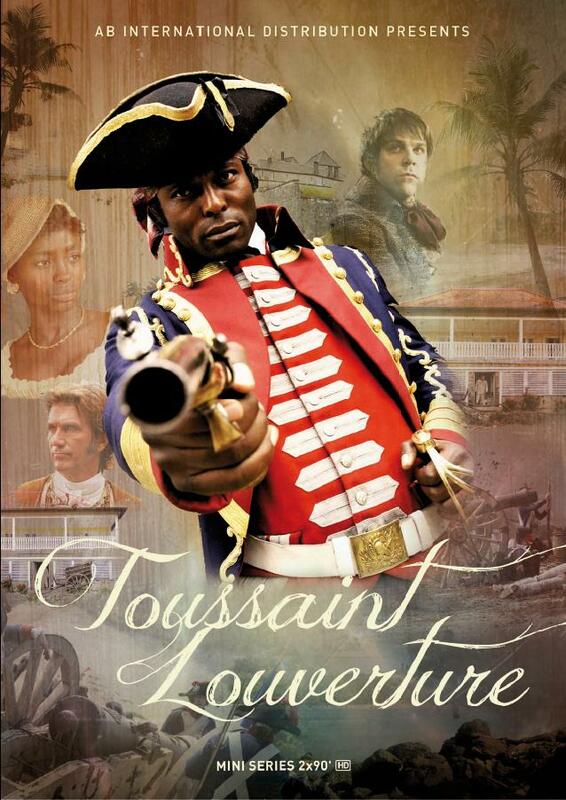 I was recently invited by the cultural group Africavenir to attend a Berlin screening of Toussaint Louverture starring Haitian actor Jimmy Jean-Louis. Several films have been on the drawing board in the last many years and this french funded production was able to get something off the ground in 2012 when it aired on french television. 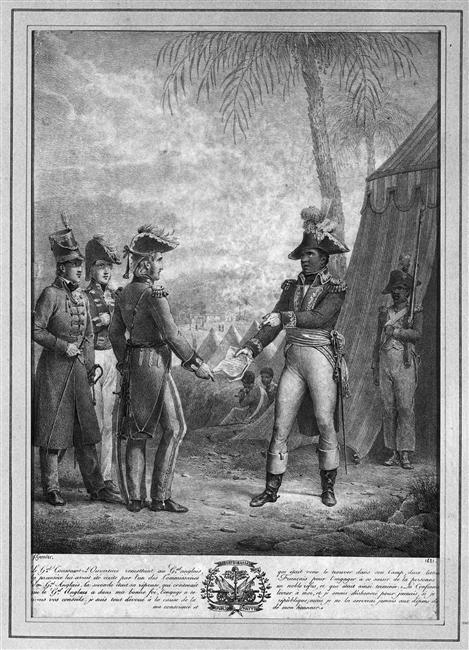 For the leading actor it was a tremendous opportunity to embody the expression of such a seminal figure in the history of the "new world" and its ultimate rippling effect on old-europe as well as the newly formed USA (The American scholar Susan Buck-Morss points these intersections extremely well in her essays and book surround the Haitian revolution and european philosophical discourse, Hegel in particular). The film(s) totalled 3hours and many german teenagers were in attendance that morning/afternoon in Early April as part of their international-school curriculum. I attended with a fellow berliner (haitian-american) Ti'vicky (Lil'vicky) Germain who spoke to the teenagers afterwards in a Q&A session that offered good moments of intro-spection for me as well as the kids. Within the first 25 minutes i was appalled (perhaps the "calypso" music set me off) and by the first french rendition of the vaudou inspired uprisings i was horrified and bemused by the interjection of words (or sayings) in Kreyol. 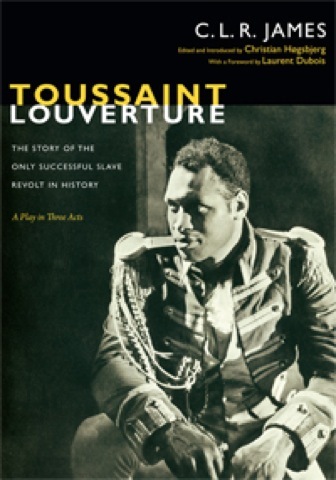 Note the poster's pop image reminiscent of a Swash-buckling pirate film rather than a dignified image presented as the cover piece to the dramatic work starring Paul Robeson. How a narrative unfolds and is visually depicted is critically important as they affect a history of visualization. 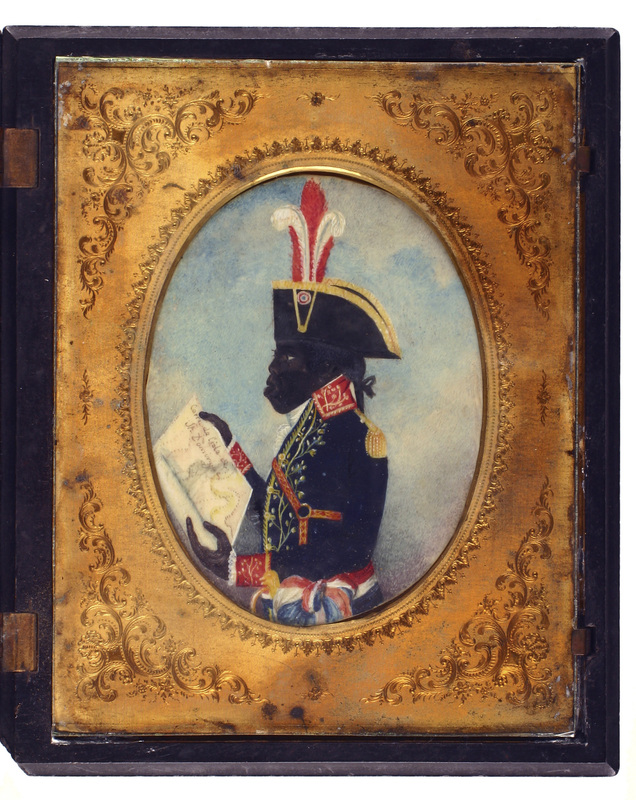 I found one review (in english) entitled "Happy as a Slave: Toussaint Louverture the mini-series" (by Alyssa Goldstein Sepinwall, California State University, San Marcos), it serves as a splendid summation and critique of this unfortunate project. "...<em>despite the film’s virtues, its depictions of the Haitian Revolution – and of the slave system which preceded it – are deeply flawed. It is perhaps inevitable that a historical drama has factual errors; indeed, as critics were quick to point out, the film departs from the truth so often that one loses count. Inaccuracies range from depicting Suzanne as skinny though sources say she was not, to inventing characters who never existed (such as the Napoleonic officer Pasquier, who drives the film’s narration), to killing off characters who survived until years later (such as Biassou, Mars Plaisir, and Toussaint’s father). Such criticism led to a last-minute change in the film’s description to an oeuvre de fiction (“work of fiction”)</em>...."
"...<em>the factual errors (and a soapy style) are hardly the worst aspects of the film. While Niang likely did not realize he was doing so, the film papers over the brutality of slavery. Violence against slaves is almost non-existent. Even in isolated instances (such as an invented scene where Toussaint’s chained father drowns; another where his invented sister reports being raped; and another in which mob of angry colons chases Toussaint), the film is quick to contrast bad whites with kindly slave-owners. 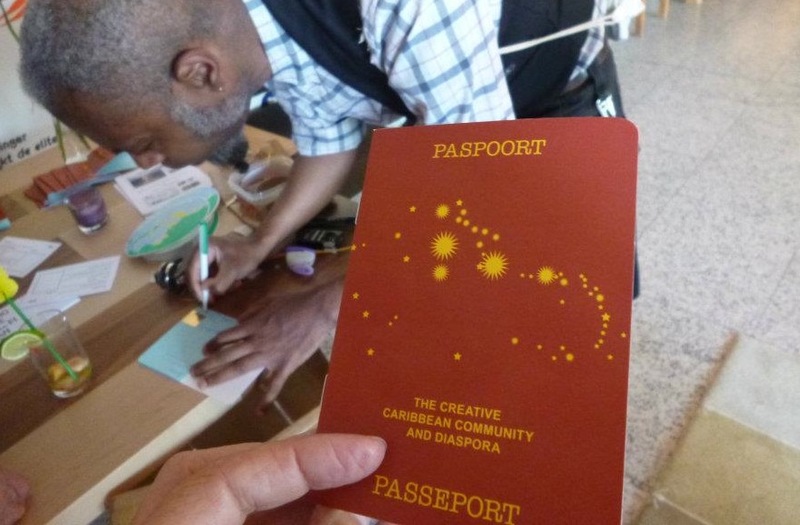 Whippings are completely absent; work on the plantation looks peaceful and bucolic</em>...."
A "Passport" , an invitation to join a geographically borderless and expanding CARIBBEAN CREATIVE COMMUNITY AND DIASPORA such as myself and all the other artist participants for the exhibition. 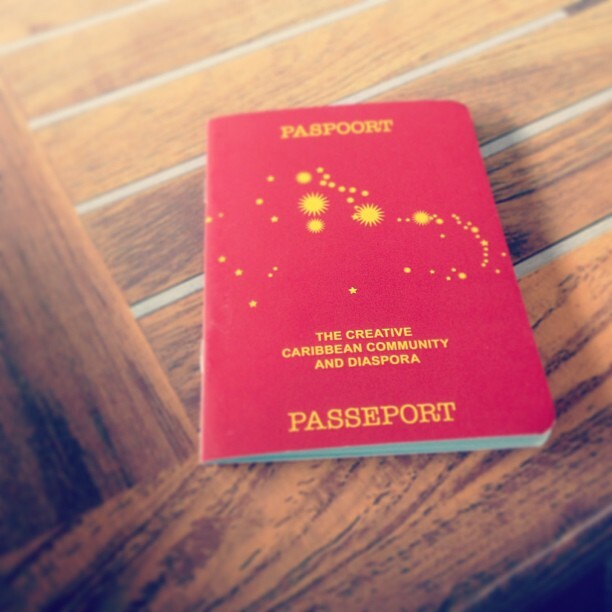 Our passports that mark our geographical identities represent an aspect of our invisibility as well as our liberty. The following splendid <a href="http://upload.wikimedia.org/wikipedia/commons/e/e0/Political_Evolution_of_Central_America_and_the_Caribbean_1700_and_on.gif">MAP gif.Animation LINK</a> reflects a complex history that is very difficult to convey. 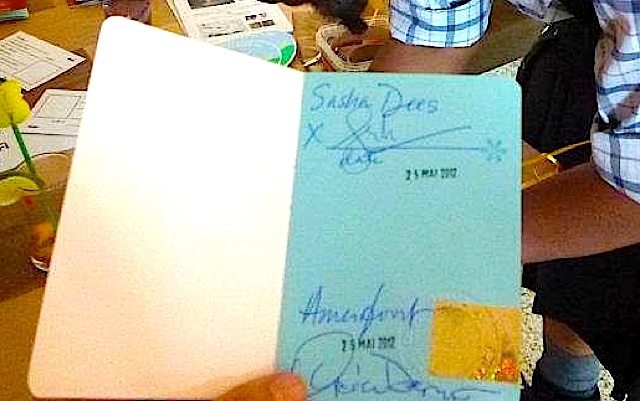 Some of the Photos posted on this Diary/Blog are from the two Passport actions where the artist officiated and authorized these documents with his stamps and signatures. The other photos are the new holders. some are on site whilst others were posted on social networking websites such as FB. Today I received an eMail from<em> Nana</em> with a link to the January Paris conference that can be watched by those of us in Germany (Though i suspect the "robots" will find something to forbid us yet again). I just watched it and it made me oddly nostalgic for this very recent special event directed by <em>Deb Willis</em> of New York University. It's primarily in FRANÇAIS so it will perhaps put you on your toes if this language is not part of your every day- as it also no longer is for me (to my chagrin). The video documentary is 51minutes long and is a very well organized video documentary production. It was delightfully amusing to hear myself being translated (at around the 33min mark) and alarming to hear and see the real me (although it was a pleasure to express myself in my french/kreyol). Enjoy. I had already mentioned this conference in an earlier post <a href="http://jeanulrickdesert.com/content/paris-conference-black-portraitures">HERE</a> with some additional links and programming information. Also found is a review/article entitled "The Great Gathering in Paris And the Ghosts of International Conferences Past" from IRAAA+ (The International Review of African American Art Plus). 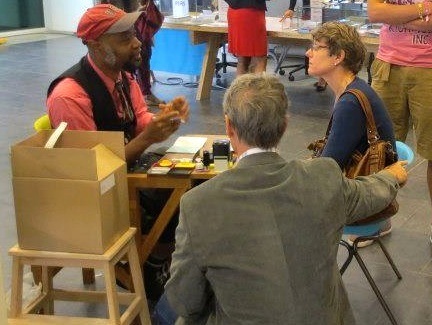 Click <a href="http://iraaa.museum.hamptonu.edu/page/The-Great-Gathering-in-Paris">HERE</a> for the link. Also found some elegant portraits of a small number of participants on photographer Terrence Jennings' website <a href="http://terrencejennings.photoshelter.com/gallery/Black-Portraiture-s-The-Black-Body-in-the-West-Selected-Portraits/G00005B_8ZuzC4i4">HERE</a> . I had the opportunity once returning to Berlin after the <a href="http://jeanulrickdesert.com/content/amour-col%C3%A8re-folie-part2">BIAC Biennale</a> in Martinique to participate in an exhibition at the Gallery/Project Space/archive called <strong>SAAVY Contemporary</strong> in Berlin-Neuekoelln the brainchild of its director <em>Bonaventure Soh Bejeng Ndikung</em>. The exhibition is entitled <strong>Wahala – On Representation, Authenticity, Expectations and Other Inflated Concepts</strong> and is officially curated by "<em>to whom it may concern</em>" but in fact is from its Art directors: <em>Dr. Bonaventure S.B. Ndikung, Dr. Elena Agudio </em>. Exhibition catalogue coordination and texts by <em>Saskia Köbschall</em>. I have wanted to show this artwork as BUILDING BLOCKS as if it were a construction of a mountain or pyramid- and allowing the mind to fill in the cognitive gaps which bring forth understandings. In this manner it has a similarity to another variation in the series where the an image is reconstructed in the format of <a href="http://jeanulrickdesert.com/sites/default/files/styles/medium/public/negerhosen_paintbynumbers_desert_001.jpg?itok=aE01x0vo">Paint-by-Numbers</a>. Thanks to the small working-<a href="https://www.facebook.com/#!/media/set/?set=a.529263943790834.1073741834.187611887956043&type=3">team</a> afforded me directly at Saavy (<em>Willan, Gaultier Ischmä</em>l and <em>Ismael</em>) during "Aufbau" (german for build-up/ installation) we were able to successfully work with and adjust the existing wiring for the illuminated boxes custom-made in 2009 for me before they were transported to Paris. This work, because of the light , is dreadfully difficult to photograph. The opening was unusually full given the snow storm outside- this indicated that the viewers were in some way dedicated to the space, the artists and perhaps the exhibits theme. 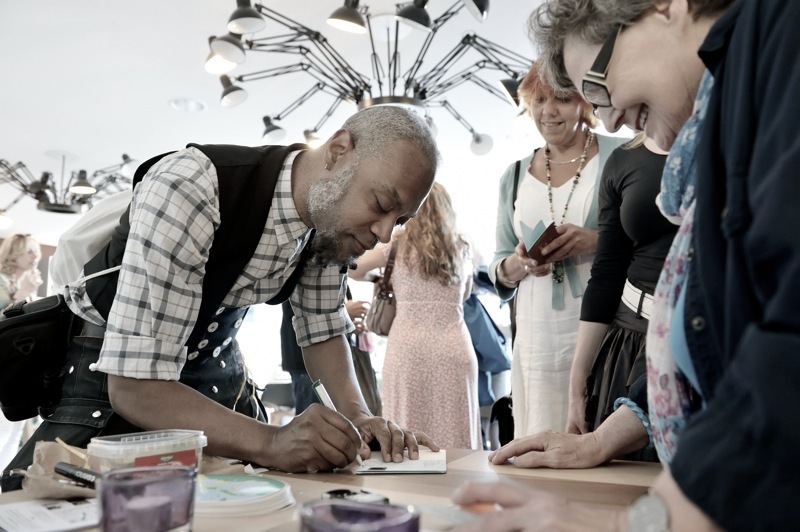 I have already seen a number of very interesting projects/exhibits from Savvy Contemporary and I believe it has developed (perhaps from its inception) as a critically important stage within the Berlin art scene(s)- I can easily begin to imagine a variety of projects and events there. I am admittedly uncertain how one can keep afloat such an institution unless it in some manner dovetails with the existing system - this i believe is a real challenge for visionary "off-spaces" be they in Berlin, London, New York and many other places where there is a critical mass of creators and consumers (financially or otherwise btw) of art(s). The last time i found myself engaged in an "Aufbau" during the wintertime was in the winter of 2010 when I had a 2person show with the conceptual painter <a href="http://www.paulaross.net/works-on-linen/"><em>Paula Ross</em></a> at <em>Howard McCalebb</em>'s <a href="http://unlike.net/berlin/culture/dada-post"><strong>Dada Post</strong>.</a> I took the opportunity to show for the first time in Berlin the "Shrine of the <a href="http://youtu.be/RPixj8jhAx4">Divine Negress</a> nr.1" the first commissioned project in what would eventually develop into the <a href="http://jeanulrickdesert.com/content/goddess-project">Goddess Project</a> series. I had sworn never again to work in a cold space during the winter(!) Little did i know this would happen again, this time at Savvy Contemporary. Ever since their <a href="http://www.facebook.com/#!/media/set/?set=a.594993093884585.1073741848.187611887956043&type=3">summer opening</a> "The Myth of Proportional Response and Ghostbusters" curated by <em>Storm Janse Van Rensburg</em> they have achieved the correct and necessary strategy: MAKE Savvy Contemporary a DESTINATION! A television interview with the director (directrice) of the <strong>BIAC</strong> <em>Johanna AUGUIAC-CELENICE</em> . A very interesting interview by three journalists on the topic of the first edition of the Martinique Biennale Nov2013 to January 2004. The three journalist are rather headstrong and frank with regards to their interrogation and in particular with the finances of the Biennale. <em>Johanna A.C.</em> seems to successfully deal with it in forthright manner illuminating the spectators as regards to the circumstances and even the choice of the biennales time-frame relative to other artworld events on the international stage. She presents the 3 parts of the biennale and speaks at some point about my public-space contribution"<strong>Amour-Colere-Folie</strong>" (which in the stress of the moment she mistakenly renames <em>Colere-Passion-Memoire</em> (Anger-passion-memorie). She also says that it is a fortuitous overlap that the <em>Césaire </em>(Wilfredo) <em>Lam Picasso</em> exhibit will be happening at the fondation Clément and that these overlaps benefit the islands tourism and publicity- such as Arte who recently remained longer to expand their coverage upon discovering these event overlaps. She spoke about the strategies of choosing <em>Holly Bynoe</em> from St.Vincent who has been familiar as a caribbeanite herself with the art production from Martinique and as well as South-african born <em>Tumelo Mosaka</em> and his profound interest and work around artists from the Caribbean and its many diasporas. The trip to Martinique (via Paris CDG transfer to Orly) was rich and full of experiences. 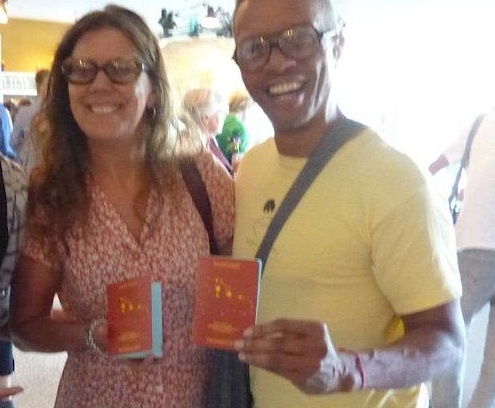 This was (and still is until mid-january 2014) the first edition of Martinique's BIENNALE led by its director <a href="http://blog.uprising-art.com/biac-martinique-2013-interview-exclusive-johanna-auguiac-celenice-directrice/"><em>Johanna Auguiac-Célénice</em></a>. 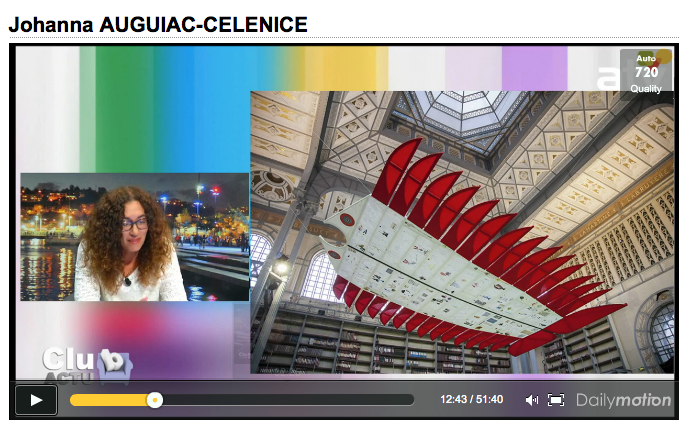 <em>Ms.Auguiac-Célénice</em> curated the various artists in residency, like myself, who were commissioned to create new public artworks especially for this first edition of BIAC. A number of us were placed at the <a href="http://www.villamelissa.fr/villa-melissa.php?vacances=trois-ilets&img=3">Villa Melissa</a> of Trois-ilets, where i was able to finally meet the Domican born and based artist <a href="http://blog.uprising-art.com/biac-martinique-2013-interview-exclusive-jorge-pineda-artiste-dominicain/"><em>Jorge Pineda</em></a> whose work I have enjoyed for a number of years, this experience in Martinique afforded us this possibility. Our other residency neighbors were <em>Carlos Estevez </em>and Guillaume (who goes by the artist name of <em>Remed</em> which means remedy/medicine in french). My work "<strong>Amour Colère Folie- a temporary monument to resistance</strong>" was placed in the <em>Terre-Saintville</em> neighborhood of Fort de France known for its Haitian and Domican immigrant population. To be place in and around the fountain of Place Abbey Grégoire facing the roman-catholic church of<em> Saint Antoine</em>. the commissioned public artworks (<a href="https://www.facebook.com/pages/Uprising-Art-Caribbean-and-Contemporary-Art/308962322475400?fref=ts#!/media/set/?set=a.632459226792373.1073741834.308962322475400&type=3">Parcours in situ</a>) by artists in residence and labeled <em><strong>Parcours</strong></em> was selected by BIAC director<em> Johanna Auguiac-Célénice</em>. the "<strong>Martinique Pavillion</strong>"(facebook <a href="http://www.facebook.com/pages/Uprising-Art-Caribbean-and-Contemporary-Art/308962322475400?fref=ts#!/media/set/?set=a.632501196788176.1073741835.308962322475400&type=3">photos here</a>) was curated by the artist/curator/publisher <a href="http://blog.uprising-art.com/biac-martinique-2013-exclusive-interview-holly-bynoe-martinique-pavilion/"><em>Holly Bynoe</em></a>. 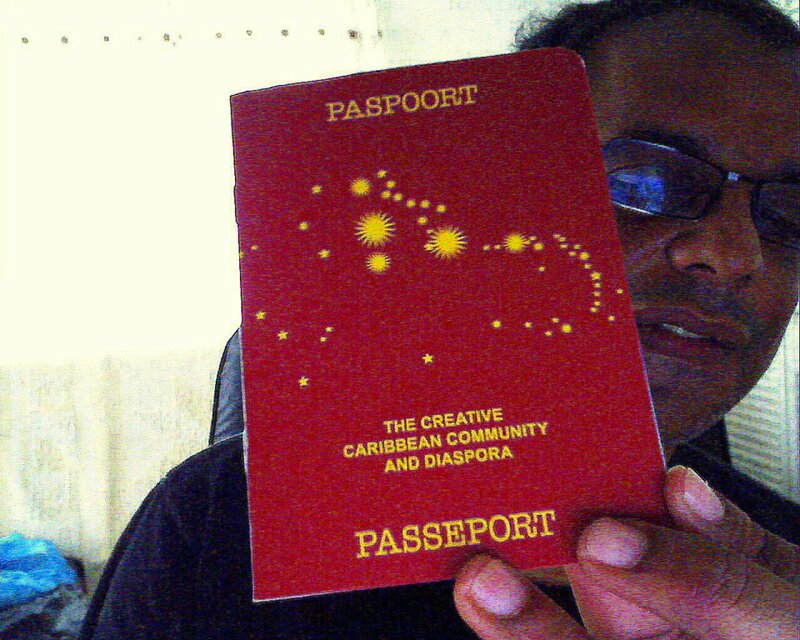 the "<strong>International Pavillion</strong>" (facebook <a href="http://www.facebook.com/pages/Uprising-Art-Caribbean-and-Contemporary-Art/308962322475400?fref=ts#!/media/set/?set=a.632716783433284.1073741836.308962322475400&type=3">photos here</a>) was curated by curator/author Princeton University professor <a href="http://blog.uprising-art.com/biac-martinique-2013-interview-exclusive-tumelo-mosaka-curator/"><em>Tumelo Mosaka</em></a>. Video: working with artists<em> Hervé Beuze</em> and <em>Patrick</em> at the Square. The central tri-color cube of corrugated-metal has yet to be placed at this point during this video. Many thanks to artist <em>Jorge pineda</em> (D.R.) and to <em>Caryl Ivrisse</em> (of <em>Creative Renegades</em>) for their early set-up assistance at the square. 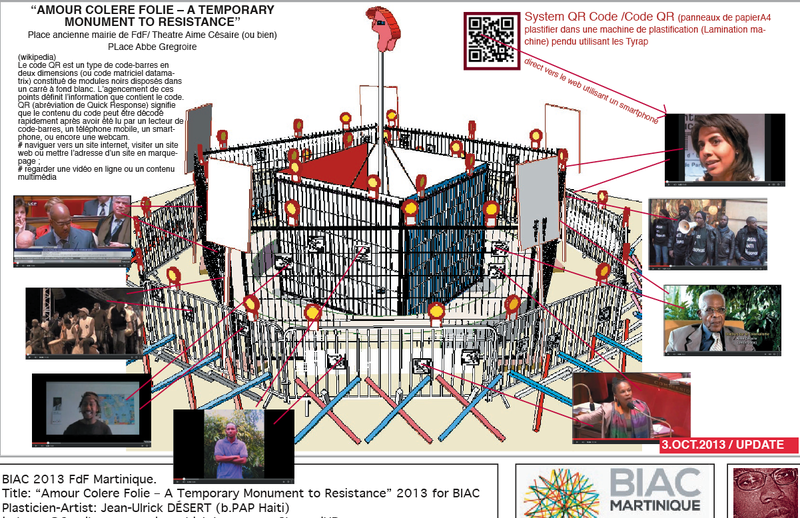 Uprising's original summary of BIAC may be found <a href="http://blog.uprising-art.com/annonce-de-la-1e-biac-biennale-internationale-dart-contemporain-de-la-martinique/">HERE</a>. and Historian <a href="http://blog.uprising-art.com/biac-martinique-2013-interview-exclusive-marianne-de-tolentino-histoire-art/">Marianne de Tolentino</a>. And then finally the topic of inhabitants of martinique called béké was rather surprising and yet i was not aware of any significant details that could bring it all together. All in all- a visit again to Martinique and Guadeloup and Guyane are most certainly in order in the future. 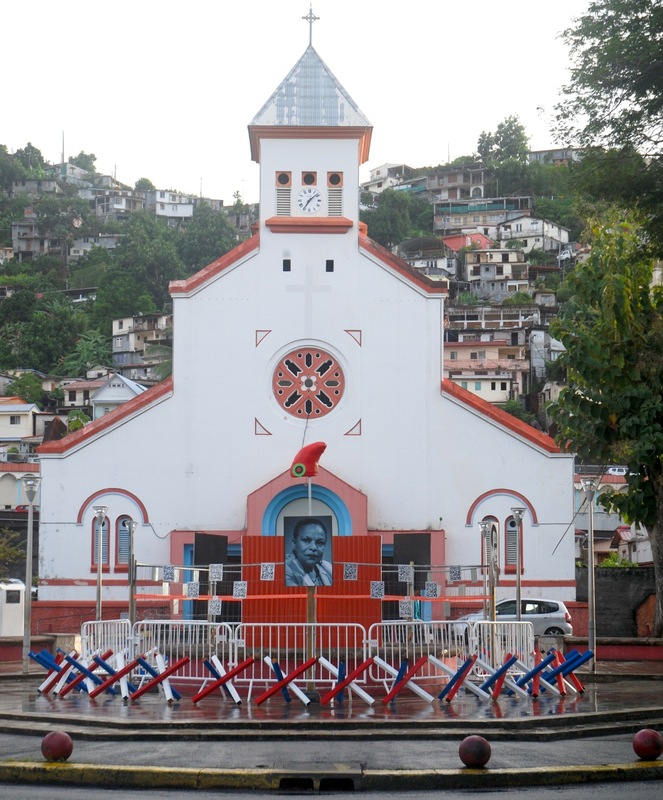 Here is a réportage online regarding this small minority of citizens not often spoken about outside the french/francophone Caribbean world. 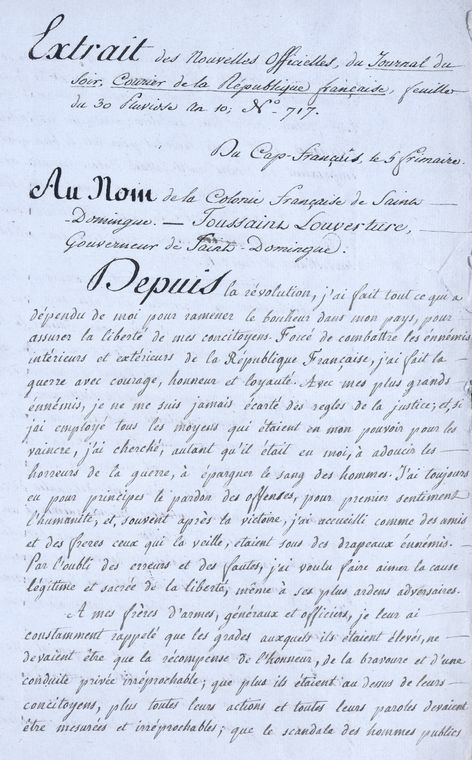 The title of the work is taken from Haitian author <em>Marie Chauvet</em>'s trilogy <strong>Amour colere folie</strong> and represents a work of art considered dangerous that she must enter into exile in New York (like my own family) and whose voice is silenced for decades until this work of literature is published clandestinely against the wishes of her widower and family who feared retribution from the content embedded in her work. This act and statement of resistance has inspired me to amplify the collective acts of resistance. For the past 6months or so I have been working diligently with some of the organizers for the first Bienale in Martinique that will preview later this month November 2013. Upon much reflection i settled on proposing a public art-work to be installed on a square of Fort de France. The proposed work will be created using various forms of barricading used for crowd and vehicular control. They will be layered concentrically on the square and relatively unremarkable since the elements will all be recognizable. It will be difficult to find some local solutions for the elements i envision- but i will rely much on my local helpers. 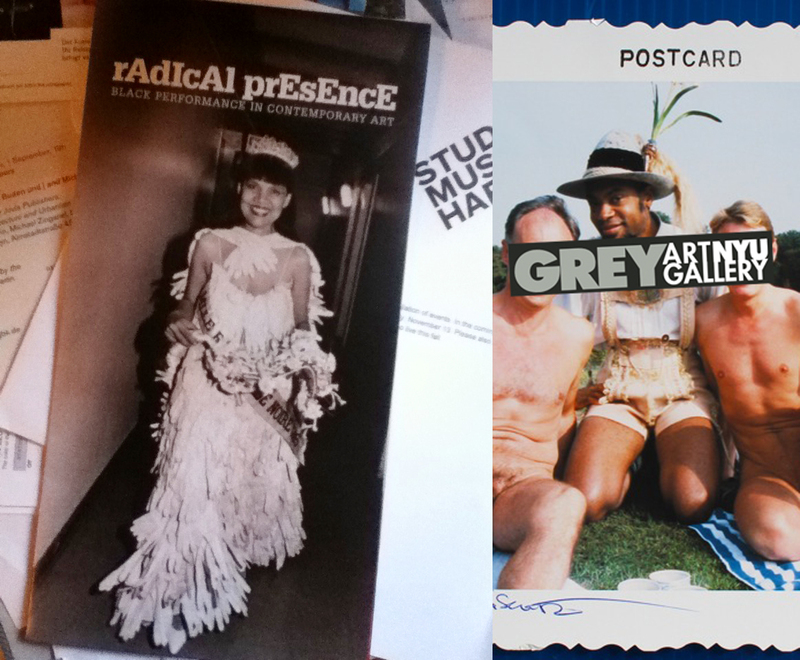 I am very happy to announce that <strong>RADICAL PRESENCE / Black Performance in Contemporary Art</strong> arrives to New York City at the <ins>Downtown</ins> (part1) <strong>*GREY ART GALLERY</strong> and uptown (part2) at the <strong>Studio Museum in Harlem</strong>. 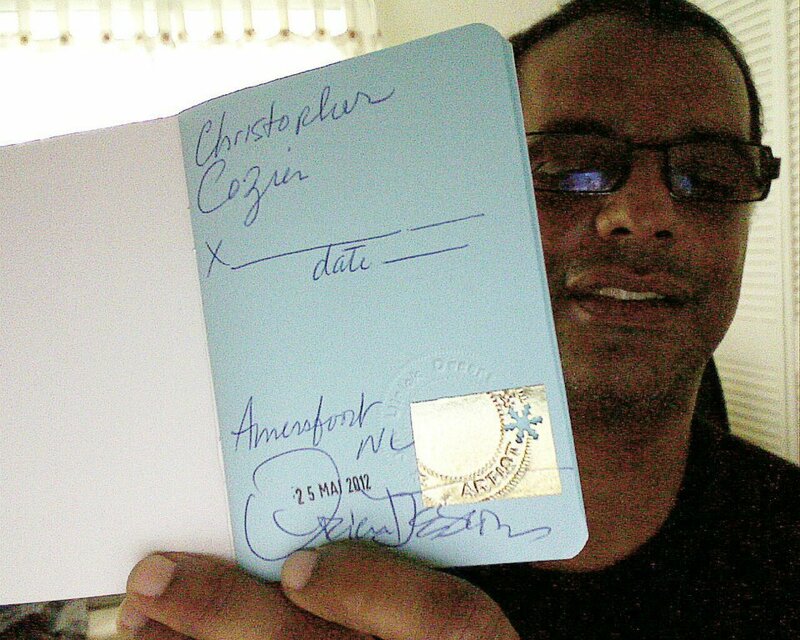 My <em>Negerhosen2000 Travel Albums</em> and <em>Negerhosen2000 Ephemera</em> will be included and on view at the <em>downtown location</em> <strong>GREY ART GALLERY</strong> a stones throw from my Alma Mater <strong>The Cooper Union</strong>. Note: On the opening night <strong>Sur Rodney (Sur) </strong> and <strong>Hope Sandrow </strong>will be performing <em>Free Advice</em> as of 6:30pm.You will also find Sur in the 1997 Negerhosen2000 ephemera (a photo documentation by the artist <strong>Geoffrey Hendricks</strong>) of my works when we encountered each other at Documenta X.
I must confess that for years I always wanted to see these two projects <em>Mlle. 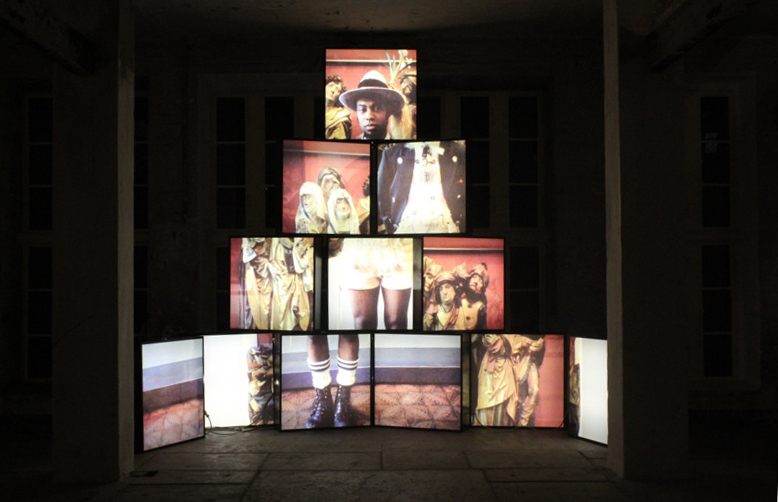 Bourgeoise Noire</em> and <em>Negerhosen2000</em> to be in the same show, as I think they create a complex space, dare i say of Blackness that is often insufficiently discussed in the USA. I am grateful to Valerie Cassel Oliver- for her insight- though i believe they will be some 100 New York City blocks apart. Ah yes indeed it is still not yet a book project soley by me- but this opportunity seems to elude me for funding and all the other elements needed to bring such a thing to fruition- so i appllaude <strong>Valerie Cassel Oliver</strong> and <strong>Bill Arning</strong> and the other authors : <strong>Yona Backer</strong>, <strong>Naomi Beckwith</strong>, <strong>Tavia Nyong'o</strong>, <strong>Clifford Owens</strong>, and <strong>Franklin Sirmans.</strong> for their hard work. <strong>Radical Presence: Black Performance in Contemporary Art</strong> is the first exhibition to survey over fifty years of performance art by visual artists of African descent from the United States and the Caribbean. Black performance has generally been associated with music, theater, dance, and popular culture. While the artists in Radical Presence draw on these disciplines, here their work is considered in relation to the visual arts. The show begins with examples dating from Fluxus—a loose international network of artists from the 1960s and ’70s—and Conceptual art of the same period, and continues up to the present day. Featuring live performances as well as objects, <strong>Radical Presence</strong> includes more than one hundred works by thirty-seven artists. Some employ photography and video to document their performances. Several perform for the camera—in front of an audience or alone—intentionally constructing records of actions and events. The exhibition also presents objects used in performances: costumes, scores, sculptures, and installations, which, depending on when viewers see them, serve as prompts for or traces of performances. Both the live performances and the art objects call attention to the possibilities and limitations of the active body, and the installations reflect some of the myriad ways in which museums have exhibited this ephemeral medium. Organized by <strong>Valerie Cassel Oliver</strong>, Senior Curator, <strong>Contemporary Arts Museum Houston</strong>, <strong>Radical Presence</strong> is presented in New York in two parts: Part I at <strong>New York University’s Grey Art Gallery</strong> (September 10–December 7) and Part II at <strong>The Studio Museum in Harlem</strong> (November 14–March 9, 2014). For its New York presentation, the exhibition at The Studio Museum in Harlem is overseen by <strong>Thomas J. Lax</strong>, Assistant Curator. I was honored to be asked by the young choreographer/dancer <strong>Thomas Körtvélyessy</strong> of <strong>Real Dance Company</strong> based in Rotterdam to assist him as <em>Dramaturg</em> in the creation of his new work-in-progress entitled <em>Pelleas Material</em>- a new work based on Claude Debussy's opera <a href="https://en.wikipedia.org/wiki/Pell%C3%A9as_et_M%C3%A9lisande_%28opera%29">Pelléas et Mélisande</a> of 1902. We worked with a young Dutch dancer <strong>Gavin Viano Fabri</strong> whose interpretation was also critical in the rendering of this experimental Solo work where the dancer is challenged to transform himself into each operatic character regardless of gender or station. all of which would be presented by an invitation-only workshop presentation at the Dans Ateliers studios in Rotterdam a splendid historical former trade-school building with a complicated colonial history not unlike much of The Netherlands overall. The small assembled audience then discussed the work for some 30plus minutes with a questions and answer and commentary period. The whole experience was very instructive for me to see how these types of projects are put together and the deep challenges facing small dance choreographers and the presentation of their works. Here is a very short video clip from our rehearsals at the SKVR studios of Rotterdam. The staircase of the DansAteliers building contains an impressive <em>arts & crafts</em> inspired stain glass window that immediately stood out with its details of laboring black and brown bodies creating what would be the wealth of colonial Netherlands. It is a celebratory artwork, not of the sacrifices of those workers but rather of the wealth and bounty of a Dutch empire. I had not been to Rotterdam since the staging/launching of my <em>White Man Project</em> at BRUCE New Art Foundation gallery space by directors Hester Chan and Sebastaan Bokhost. HCFA (see <a href="http://www.hesterchan.com/aboutme/">HERE</a>) is her current project space in the UK. 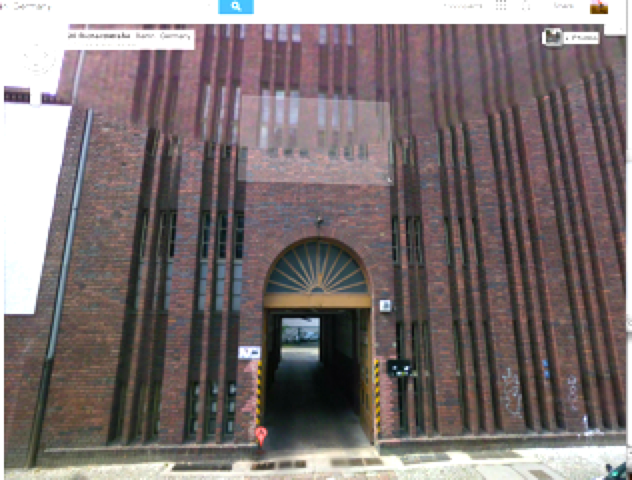 Rotterdam's renowned Witte de Witt gallery , a stone's throw away from the former BRUCE New Art Foundation gallery space will be the venue of the upcoming <em>The Temptation of AA Bronson</em> this month. I was so touched to be taken through his show during installation by AA Bronson himself. It's with great chagrin that i wont be able to be at the opening due to my pressing schedule back here in Berlin and the work i must prepare for the upcoming international biennale in Fort-de-france Martinique this year. AA Bronson is most certainly the artist mentor i wish I had had the opportunity to have during my youth and I am glad to know him as a friendly acquaintance and RadFae. His clarity and generosity is laudable and should be emulated by many of us. Footnote regarding the music: I was generally unfamiliar with the special nature of Claude Debussy's place within the pantheon of western classical music. One source that assisted me was this 45minute lecture on youtube "<em>Early Twentieth Century Modernism, Claude Debussy 46/48 How to Listen to and Understand Great Music</em>"by a rather talented communicator, which has unfortunately been removed due to copyright infringements from the teaching company.